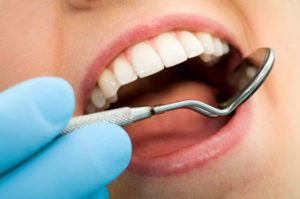 A cavity starts with the buildup of bacteria and plaque that causes damage to the surface layer of one or more teeth. This damage assumes the form of a small hole in the tooth that, if left untreated, spreads much deeper into the tooth, resulting in cavities. Are you more likely to get cavities? Anyone with teeth can get cavities, and most people have multiple cases of dental caries at different times in their lives. Researchers claim that senior citizens have higher chances of getting cavities, probably because of their medications that cause dry mouth. The risk for dental caries among children and adults, on the other hand, is not as bad, probably due to the emphasis on the importance of using fluoride toothpastes from an early age, as well as the fluoridation of public water. That said, a recent report by the Centers for Disease Control and Prevention (CDC) claims that the prevalence of dental caries among different ethnic groups varies. For instance, African-Americans have the highest incidence of tooth decay at 46 percent, followed by Hispanics at 36 percent, and Caucasians at 22 percent. The prevalence rate for Asians is 17 percent. According to researchers, there are three key factors that contribute to one’s oral health: behavior, social conditions, and biology. In regard to biology, researchers argue that some people are born with genes that give them superior dental health, like bacteria-fighting saliva, extra-hard tooth enamel (greater ability to re-mineralize), and a robust immune system. The American Academy of Periodontology (AAP) also agrees that certain clusters of the population are more susceptible to oral diseases due to their genes. For instance, one study revealed that a small proportion of African Americans lack a certain variant form of salivary protein that helps to ward off cavity-causing bacteria. The American Dental Association (ADA) claims that lower socioeconomic groups are more likely to have higher levels of untreated cavities, due to their limited access to health care. In many states, Medicaid coverage does not include dental benefits, and in others, it only caters for emergency care. Disadvantaged households may also not have access to education about proper dental care. Additionally, even those patients with decent coverage may not have access to transportation to reach the dentist’s office. Researchers have found that smoking significantly increases the risk of gum disease and tooth loss, while consume foods/drinks high in sugar create the ideal breeding ground for decay-causing bacteria. Ideally, stellar dental care can help anyone overcome a less-than-ideal genetic disposition, though some oral hygiene devotees may suffer from persistent cavities, while others who barely do the minimum maintain a perfect smile. Indeed, people who are better able to absorb calcium and fluoride, while doing the bare minimum, are less likely to suffer from decay, compared to the diligent ones who consume too much acidic and sweet things, clench/grind their teeth, or drink non-fluoridated water. Still, regular dental check-ups at your Lancaster dentist should help you detect any concerns early before they become serious and costly issues. This entry was posted in Dental Education and tagged causes of cavities, cavities tooth decay, oral health. Bookmark the permalink.